Spending time with your family over the holidays can be filled with joy, love, and happy memories of holidays past. But what happens when one family member—let’s call them a Humbug—behaves in a way that threatens all the positive feelings that come along with holidays? Many of us have one particular member of the family that we experience as having problematic behavior, but it can be difficult to find ways to spend time with those family members and enjoy the holiday season. If you happen to find yourself dealing with a Humbug in the family, the first step to maintaining your holiday joy is to use your mindfulness skills whenever necessary during your visit. If you feel triggered, focus on taking deep, even breaths through your nose and out your mouth, the way you might when exercising. Focusing on your breathing for ten breaths can do wonders in helping de-escalate your emotions. Once you have been able to re-center, try to remember that whatever unhealthy behaviors your family Humbug is exhibiting, those behaviors most likely have nothing to do with you and are instead that person’s own emotional issues bubbling to the surface. Perhaps your family Humbug is triggered by spending time with family, or has been trying to lose weight and is triggered by all the delicious food on hand at your celebration. Often bad behavior is a reaction to having uncomfortable feelings. Try to exercise as much empathy as possible to see if you can understand what kinds of feelings might be inciting your family member’s bad behavior. Empathy can lead to patience, which goes a long way when dealing with badly behavior members of your family. 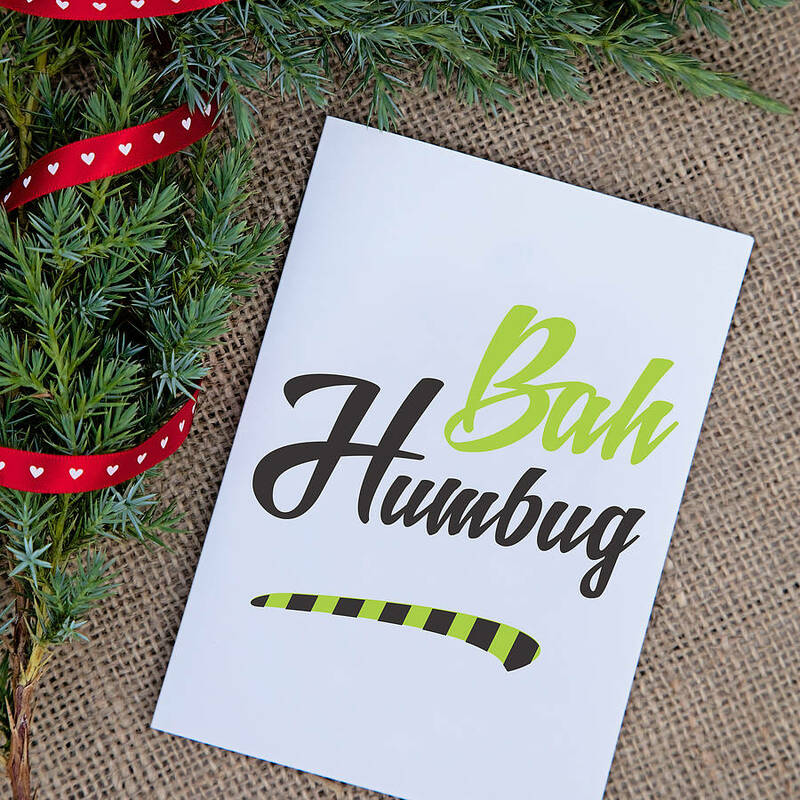 If you are struggling to feel empathetic, spend a few moments to be mindful of what redeeming qualities you might like about your family Humbug. Perhaps that family member triggers you because they are abrasive, but is always willing to help you out in planning family gatherings. Or perhaps it’s the opposite—they never help plan gatherings, but are very kind. Whatever qualities you like about them, try focusing on those qualities, as it can help create empathy and caring even when you feel frustrated with their behavior. And remember, as you navigate this family holiday, know that your time spent with family is temporary, and when the holiday is over you can return to your life as it was before. But perhaps you can use this time to build stronger relationships with your family members—even the Humbug. Spending this holiday with your family might even allow you some clarity about revising old boundaries you’ve set with your family, or setting new ones to better care for yourself. This holiday can be an opportunity for growth, and you may find that a little family discomfort can lead to a lot of family healing.